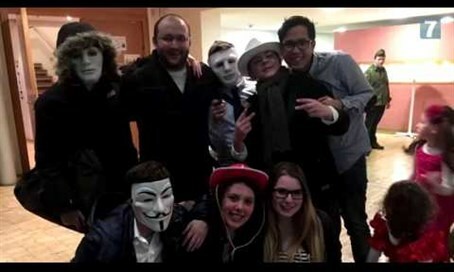 Arutz Sheva speaks to two Bnei Akiva emissaries to Germany, who discuss Purim in the wake of terror and preparing for Pesach. Arutz Sheva spoke to Doron Golan and Eitan Sternberg, two Bnei Akiva shlichim (emissaries) to Germany. In the interview, the two discussed how Jews in Germany celebrated Purim in the wake of the terrorism in Europe, preparing for Pesach and how a German-born shaliach who moved to Israel does not miss Germany despite having returned there for the purpose of his shlichut.